MOVE 2016: Join the Movement! For election 2016, the League of Women Voters of Massachusetts is launching a multi-pronged voter education and engagement initiative: MOVE 2016 (Massachusetts Voter Engagement 2016), designed to provide voters throughout the Commonwealth with resources to encourage participation and informed choice in the 2016 election. Our goal is to “MOVE the needle” by substantially increasing voter registration and turnout rates in the Commonwealth. We are grateful to the Lincoln and Therese Filene Foundation, the Salem Five Charitable Foundation, and an anonymous League member for financial support for this program. VOTE411.org Online Voters’ Guide: This customizable digital resource created by LWVUS will allow Massachusetts voters to access personalized ballot information—for statewide races, U.S. Congressional races, state legislative races, and ballot questions—simply by entering a street address! Voters will also be able to access in-depth information about candidates (including candidates’ responses to questions created by LWVMA) and ballot measures, an online voter registration tool, local and state voting requirements and rules, and a polling place finder. 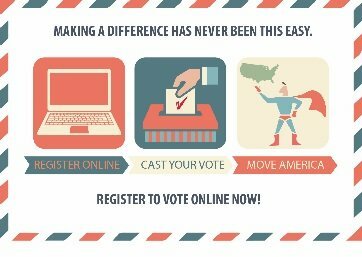 LWVMA will bring this digital platform to Massachusetts voters for the first time for election 2016. 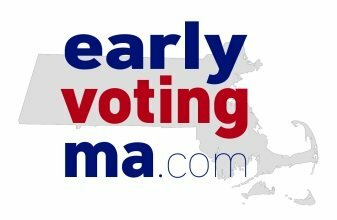 Early Voting Challenge: The Election Modernization Coalition, which includes LWVMA, has issued its recommendations for implementing early voting in the state, effective with the November 2016 election. A law passed by the state legislature in 2014 requires early in-person voting be available at city or town election offices for an eleven-day period before the election, during normal business hours To encourage cities and towns to offer a robust early voting program, the coalition has issued an Early Voting Challenge, with gold and silver “medals” to recognize communities which meet or exceed those recommendations. We are asking local Leagues and citizen activists to contact their town and city election officials and ask them to offer night and weekend early voting hours, as well as multiple early voting locations for municipalities with over 35,000 residents. Eye-catching print and digital educational materials: These unique LWVMA materials will educate voters about other significant changes to Massachusetts’ election procedures as a result of the 2014 election modernization law —specifically, the addition of online registration, now available, and pre-registration of 16- and 17-year-olds, starting in August. They will also include both print and digital “voters’ pledge cards” to encourage eligible voters to commit to casting their vote. Thank you for the Boston University Ad Lab for their design work on these materials. year’s contest is “YOUth Should Vote!” To mobilize the youth vote in Election 2016, we are inviting Massachusetts high school students to send us 30-second videos (public service announcements) that encourage young people to register to vote and turn out at the polls in November. The first-place award is $1,000; second-place, $500; and third-place, $250. All winners will be invited to attend an award ceremony at the Massachusetts State House, and winning videos will be publicized throughout the state. 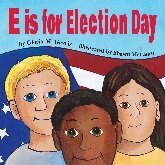 League Choice Books for Children and Teens: In anticipation of the 2016 presidential election, LWVMA has begun identifying and selecting books that may help inform kids and teens about our nation’s history and system of voting and elections. Several such books appear below. Local Leagues and individuals may wish to: (a) donate copies of the books to libraries; (b) award them as student essay or video contest prizes; (c) present them as League prizes at school awards ceremonies; (d) include them in gift baskets for silent auctions or other fundraisers; or (e) organize programming featuring them. For further information about any of these initiatives, please contact Meryl Kessler, LWVMA Executive Director, at 617-523-2999.